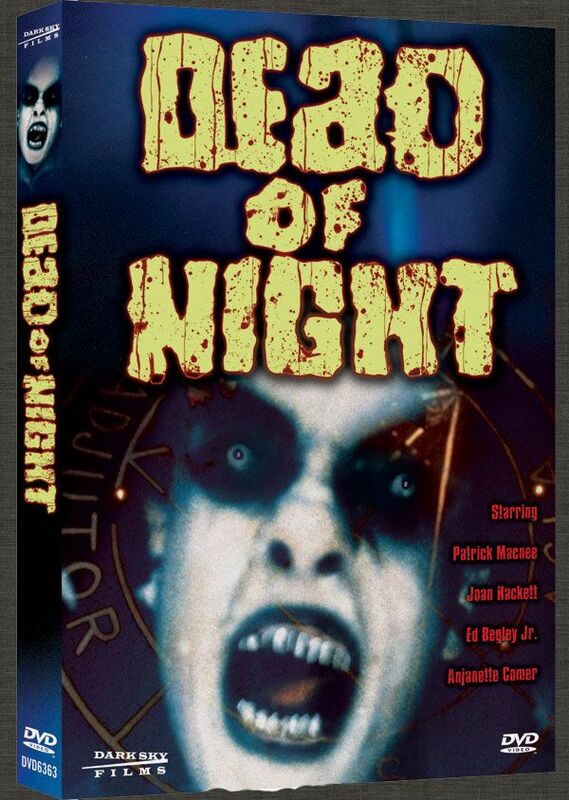 New Triolgy Of Terror On DVD: Dead Of Night! Out on DVD is a real rarity, Dead of Night, a fun 1977 trilogy of terror done for TV by Dan Curtis (The Night Stalker) and written by the terrific Richard Matheson (I Am Legend, The Incredible Shrinking Man). The first story, Second Chance stars Ed Begley Jr. as a young man who restores an antique car and is mysteriously transported back in time to 1926 -- which results in him altering the future in unusual ways. No Such Thing As A Vampire is a twisty tale set in ye olde times starring Patrick Macnee (The Avengers) dealing with his wife (Anjanette Comer) being nightly bitten by a vampire. The best episode though is Bobby, wherein a grieving mother (Joan Hackett) uses black magic to bring her drowned son (Lee H. Montgomery) from the dead. It’s a dark stormy night and he returns all right but ends up chasing mommy around the house with a knife and sledgehammer. Also on the DVD are outtakes and another rarity, a TV pilot: A Darkness At Blaisedon starring Kerwin Mathews (The 7th Voyage Of Sinbad).